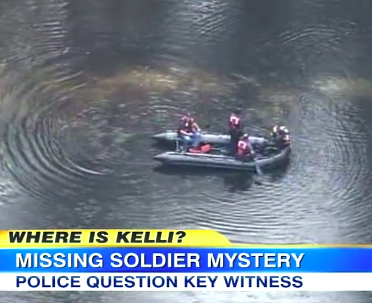 Dan Abrams appeared before the weekend on Good Morning America to discuss, in particular, the key witness in the case of missing soldier Kelli Bordeaux. The 23-year-old Army combat medic was last seen in Fayetteville, N.C. early on Saturday, April 14. Her last confirmed contact was with Nick Holbert, a local resident, who at the time of the discussion had not yet been named a person of interest. Why? Dan explained two possible reasons – either the authorities believe his account (Holbert has talked to them twice), or they simply didn’t want to rush into it; “They don’t need to name a person of interest, a suspect.” Acknowledging that he was the last person to see her, it’s not surprising to anyone that he’s being brought back in for further questioning. Nancy agreed. Between Dan and Nancy there were a slew of questions regarding the case and Holbert’s account – her marital status, that allegedly asked to be dropped off far from her gated community, even though her husband was in Florida at the time, that the 100 lb. woman ran up a tab with Holbert of 4 beers and 4 shots, that Bordeaux’ cellphone showed pings from her phone along the 275 corridor – a fact that doesn’t “jive” with the story that Holbert drove her .8 miles from the bar to her home. Watch Dan Abrams and the full discussion here.